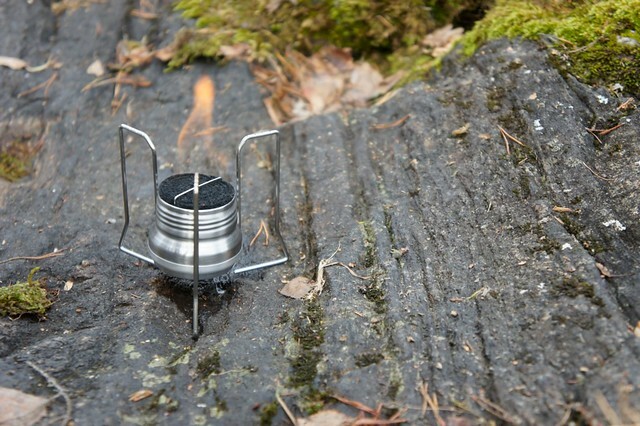 I recently received a new alcohol stove from Japan, a wonderful little masterpiece. Closed stove and pot stand. 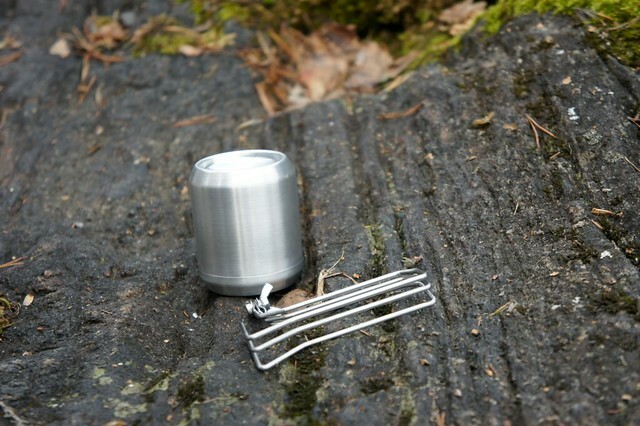 I'm not too much of an alcohol stove user, as I prefer wood (Backcountry Boiler, anyone?). However, I was so intrigued by this stove that I decided to buy one and rekindle my interest in alcohol stoves. 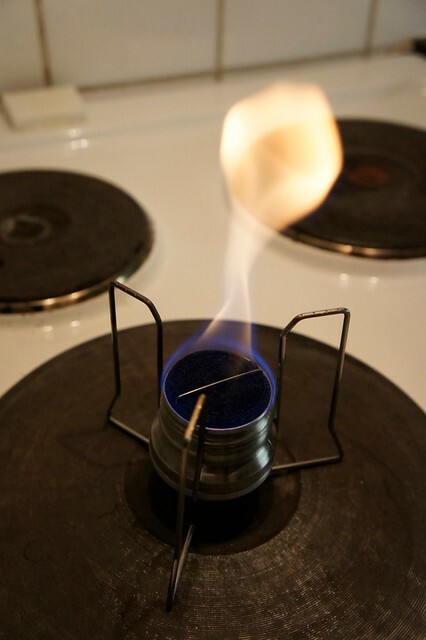 It is a carbon felt stove, and the flame can be extinguished and then the rest of the alcohol can be safely transported in the stove - that is something which remembers me of my Trangia from earlier days. Very nice and useful, a reason for me to get it. The four parts of the stove. The craftsmanship is superb, as you would expect from something from Japan, as I also say in the video. A lovely little unit, and at 53 g together a pretty light setup. A windscreen, like the Clikstand Ti windscreen, would add 21 g to this, though apparently there's even lighter ones around. Outside, at 5°C ambient temperature, and a slight wind, and 500 ml of water, I estimate the time till a rolling boil will be around 12 minutes - less if you use a windscreen (I stopped after 10 minutes and as the first bubbles started to rise - I had to get home for dinner =). Testing it in my kitchen I had a rolling boil (600 ml this time) after 7 minutes 45 seconds, this is respectable. 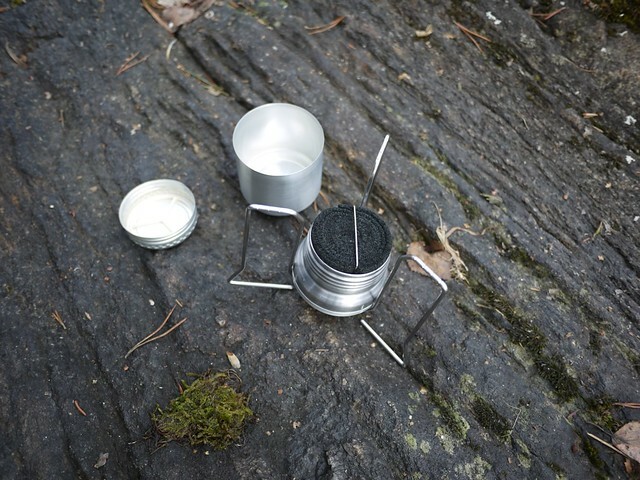 I'm never in a hurry when hiking, and don't mind waiting for a while to get my water - enjoying the scenery, having a chat or being are good things to do while waiting for the water to boil. In my kitchen test the stove was burning for well over 20 minutes with the circa 25 ml of alcohol I poured in it, pretty nice. 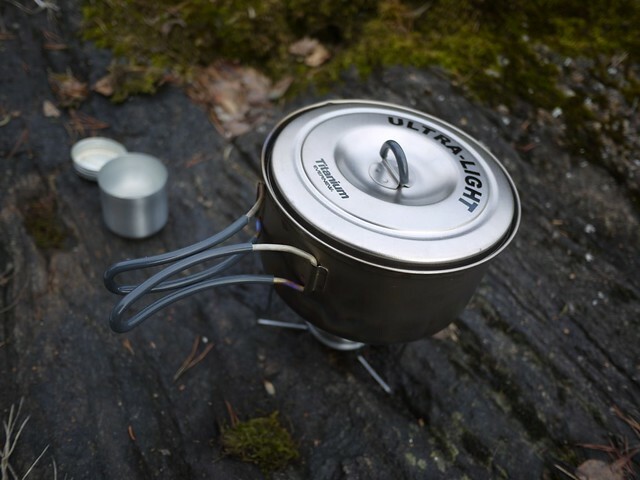 Thus if you actually cook on the trail, then this could be a good tool for you, as in my tests so far it is pretty fuel efficient. Watch the Youtube HD video here.